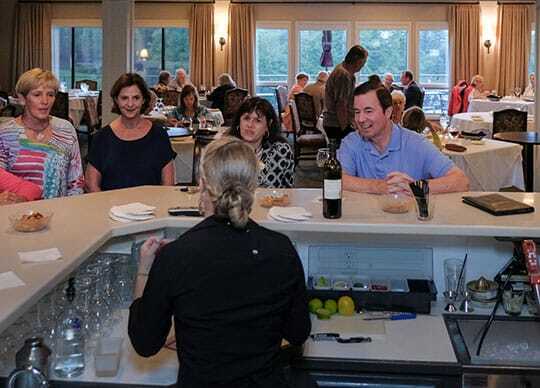 The clubhouse is home to our dining facilities with spacious indoor and outdoor seating overlooking the lake and golf course. It features two full service bars and dining space for up to 80 people on each side of the grand ballroom. The ballroom is the perfect venue for entertaining, dancing or just enjoying your favorite beverage with good friends in front of our huge fireplace. Our club also offers a pool house. The upstairs of the pool house boasts a card room that can be easily converted to the perfect meeting space, complete with a conference table and large flat screen TV. It's the ideal location for a business meeting or luncheon. The room has seating for up to 45 people and overlooks our heated pool. The ground level of the pool house is all for fun! Enjoy foosball, ping pong and much more around the pool deck! Both the clubhouse and the pool house have everything you need to convert your day from business to play, casual to formal, or your gathering from work to pleasure. Come enjoy all High Meadows has to offer in outdoor recreation. 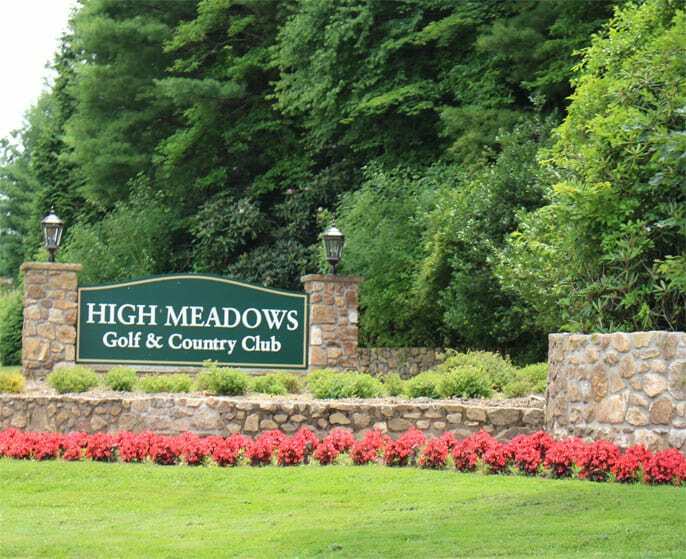 Golf is our game, but you'll never want to leave after experiencing our sparkling pool, tennis and basketball courts, walking trails and the fantastic scenery of the Blue Ridge Mountains. You can relax by our heated swimming pool. Also available in the pool area is foosball, ping pong and horse shoe pit! Just beside the poolhouse is the children's play area complete with swings and slide! Pool is open Memorial Day weekend through Labor Day weekend. Life guards are on duty during hours of operation. Pool hours are Monday-Friday from noon-6pm and Saturday-Sunday from 10 am-6 pm. Enjoy a match or two of tennis at the club. 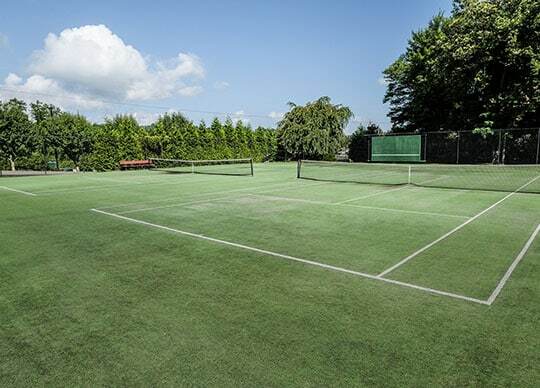 Perfect for single or double play, the courts are artificial grass surface. Take in the mountain breeze and gorgeous views while you play! We also have some basketball goals so you can shoot some hoops! Experience the best of nature in High Meadows Walking Trails. Feel like a short walk to the lake? 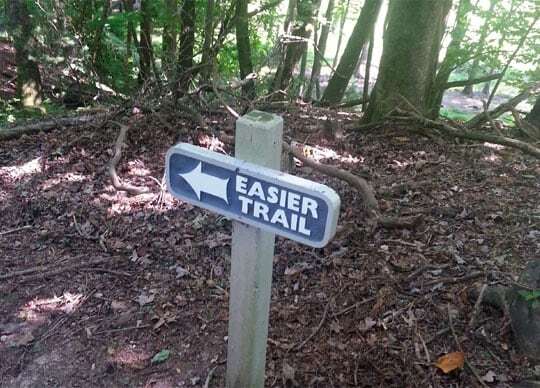 Then head on down the Easier Trail. Want more of a challenge? Hike on the more difficult trail curving up the mountainside following the stream crossing bridges and ​ending at the lake. Get active and stay active — even when they weather is not cooperating! 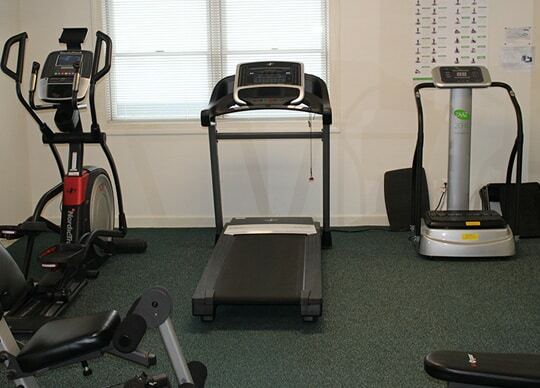 Our fitness center features the equipment you need to keep in shape, including a Bowflex Extreme, treadmills, exercise bike, ellipticals, free weights, and medicine balls. Plus our newest piece of equipment, ZAAZ, a whole body vibration system (learn more). 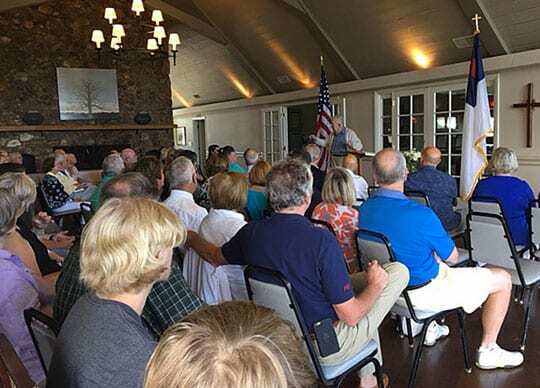 Every Sunday during the summer months of June through September, Chapel is held in the Clubhouse ballroom. Service begins at 9:00 a.m., and lasts for one hour. Casual dress is acceptable and many members show up in golf clothes in preparation for their round of golf immediately after the service. Learn more about our chapel.